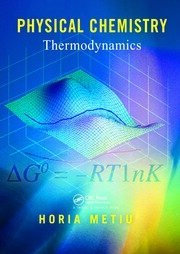 This is a new undergraduate textbook on physical chemistry by Horia Metiu published as four separate paperback volumes. These four volumes on physical chemistry combine a clear and thorough presentation of the theoretical and mathematical aspects of the subject with examples and applications drawn from current industrial and academic research. By using the computer to solve problems that include actual experimental data, the author is able to cover the subject matter at a practical level. The books closely integrate the theoretical chemistry being taught with industrial and laboratory practice. This approach enables the student to compare theoretical projections with experimental results, thereby providing a realistic grounding for future practicing chemists and engineers. Each volume of Physical Chemistry includes Mathematica® and Mathcad® Workbooks on CD-ROM. 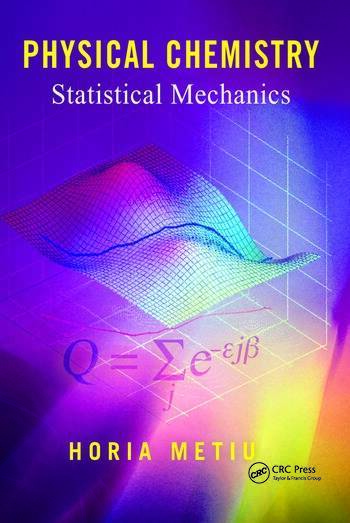 Metiu's four separate volumes-Thermodynamics, Statistical Mechanics, Kinetics, and Quantum Mechanics-offer built-in flexibility by allowing the subject to be covered in any order.These textbooks can be used to teach physical chemistry without a computer, but the experience is enriched substantially for those students who do learn how to read and write Mathematica® or Mathcad® programs. A TI-89 scientific calculator can be used to solve most of the exercises and problems. ® Mathematica is a registered trademark of Wolfram Research, Inc.
® Mathcad is a registered trademark of Mathsoft Engineering & Education, Inc.
Horia Metiu is Professor of Chemistry and Physics at the University of California, Santa Barbara. He received his Ph.D. from MIT in 1974. Prof. Metiu has won several Camille and Henry Dreyfus Teacher-Scholar awards and is a former Alfred P. Sloan Fellow. He received the Exxon Solid State Chemistry ACS Award, the UCSB Faculty Research Lectureship, and a Senior Humboldt Award. Prof. Metiu is Associate Editor for the Journal of Chemical Physics and a fellow of the American Physical Society and Japan Association for the Promotion of Science.